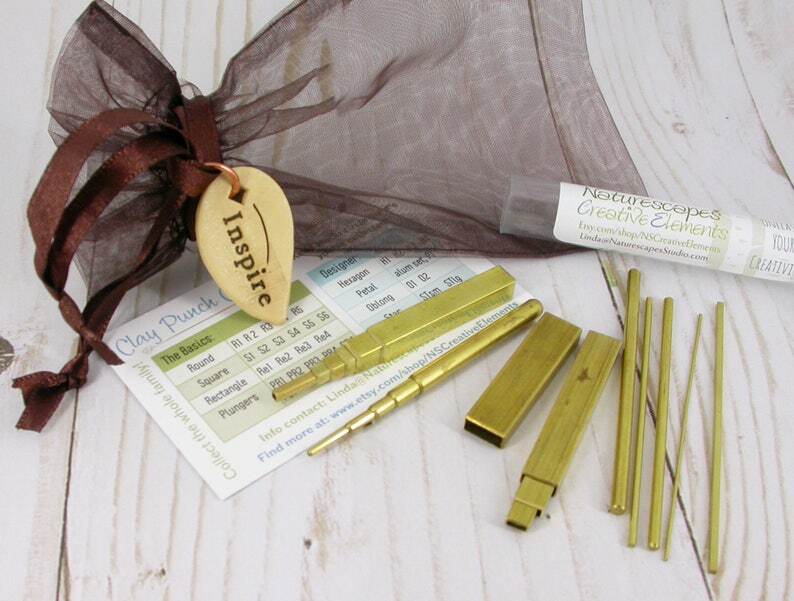 Add all of the Basics Series polymer clay tools in one complete set gives you a wide range of possibilities for creativity! 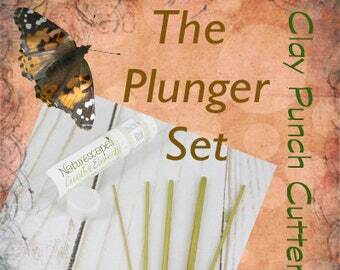 Clay Punch Cutters™ are brass tubes in multiple shapes and sizes to help you be more creative in your clay designs! The Basics Series includes Round shapes, Square shapes, and Rectangle Shapes PLUS the Plungers. Save time shopping and buy the set! Here is what is included in this Complete Set: That's 15 CPC™ and 5 Plungers -- and $85.25 value! Note: Rectangle #2 and #3 will not fit into #4. There is a noticeable difference in the sizing when used in clay, but the minimal clearance on the brass keeps it from stacking like the other cutters. DO NOT FORCE IT! Currently a problem with my supplier, we felt that having the rectangle was too important to your design needs to discontinue it! All 5 plungers are included! One for each of the Rounds sizes #1 thru #5. AND the #1 Square.